I was fortunate enough to travel to Las Vegas with my dad and experience my first International Council of Shopping Centers (ICSC) trade show at age 16. 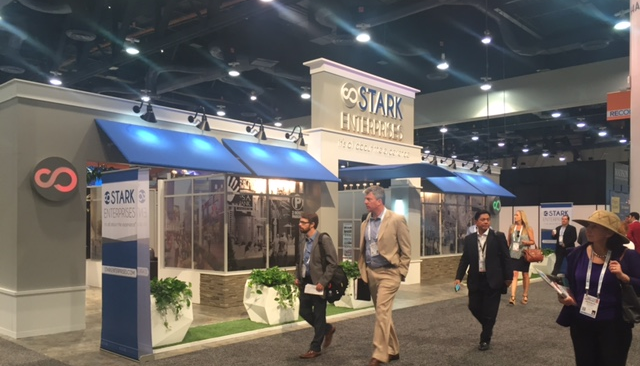 I witnessed the importance of these conventions at a young age and now, nearly two decades later, my experience has come full circle, as I now attend ICSC’S RECON show to meet with potential tenants and investors as Chief Operating Officer of Stark Enterprises. Technology has certainly changed the face of how conventions operate, but no matter the industry or event, there are certain timeless takeaways that I think are important to remember for any convention experience. Conventions expose you to decision makers. The prospect of holding high-level meetings may only occur once or twice a year, so now is the time to take advantage of it. build new relationships and new customer bases; it is important to put the phone away, sit down and make a strong first impression. Trade shows are a growing experience for your company and provide an invaluable opportunity for team building. Embrace the opportunity to take risks, step out of your comfort zone and make new connections. It’s amazing what can happen when you force yourself into new territories. For more posts, follow Ezra on LinkedIn.